It is my argument that international space cooperation, space commerce and international space security discussions could be used to reinforce each other in ways that would advance U.S. interests in the sustainability and security of all space activities. At present, however, these activities are largely conducted on their individual merits and not as part of an integrated national strategy. Bipartisan agreement was reached in the aftermath of the tragic loss of the Space Shuttle Columbia that the United States should continue to explore beyond Earth orbit, returning to the moon and then voyaging to Mars. President George W. Bush called the Vision for Space Exploration “a journey, not a race,” and one that would not be done by the United States in competition with other nations, but in partnership with them. Congress passed two successive NASA authorization bills in fiscal years 2005 and 2008 with strong bipartisan majorities endorsing this direction. The Obama administration’s decision to overturn that consensus led to the protracted battle over the fiscal year 2010 NASA Authorization Act. The future of human spaceflight and the role of U.S. leadership were at the center of the debate between Congress and the White House. The result of this conflict was budget volatility as well as policy uncertainty, two factors that have burdened the U.S. human spaceflight effort for several years now. In addition to the flawed policy direction of focusing on an asteroid mission in the near term and an unknown path to Mars in the long term, the administration’s unstable budget requests for NASA have created immense challenges for the agency’s managers, scientists and engineers. The uncertainty and drift attending human spaceflight efforts today have consequences beyond our borders. Working in a school of international affairs, it is easy to see the importance of cross-national “functional” issues such as security, trade, development and technology to U.S. foreign policy. Of particular importance are debates over areas beyond traditional definitions of sovereignty, such as the high seas, international air space, the polar regions, space and cyberspace. These are today’s frontiers, and are thus areas of potential conflict and cooperation among state and nonstate entities that impact U.S. interests. As with past frontiers, it is those who show up, not those who stay home, who create the rules and establish the norms of behavior in new areas of human activity. In a world in which space capabilities are increasingly global, no one state will be in a position to impose rules unilaterally for the exploration and development of space. Similarly, the diversity of competing national interests in space makes it unlikely that a single international space authority or even a new space treaty will emerge anytime soon. Thus, the task for the United States, if it wishes to influence how space is developed and utilized, is to create attractive projects and frameworks in which other nations choose to align themselves, and their space activities, with us, as opposed to others. Just as the United States shaped the postwar world with a range of international institutions, so we should look to the creation of new arrangements to advance our interests, values and freedoms in space. There is nothing inevitable about U.S. leadership in space unless we make it so. I attended the International Astronautical Congress in Beijing in 2013. As might be expected, U.S., Russian and Indian attendance was light. Nonetheless, the Chinese did a good job hosting the conference with welcoming remarks from Li Yuanchao, vice president of the People’s Republic of China, and a display of their three-person Shenzhou 10 capsule. There were also displays of Brazilian, Ukrainian and South African cooperation with China, and one could easily see what a global space community might look like without the United States. It was in effect a picture of a post-American space world, with a full range of manned and unmanned space activities, but without American leadership or even, in many cases, an American presence. 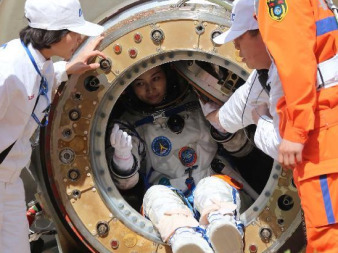 China is planning to deploy its own space station in less than a decade, about the same time that the International Space Station may be ending. If China is able to offer pragmatic opportunities for space cooperation on its own space station or as part of efforts to send humans to the moon, and the United States cannot, then other countries will likely find it attractive to forge closer relationships with China. Such a shift in international space influence away from the United States and toward China will, no doubt, impact a wide range of U.S. national security and foreign policy interests, both in space and in other arenas. The United States retains several advantages in space, however. We have decades of experience and close relationships with almost every spacefaring nation on a wide range of projects. The entrepreneurial energy of the private U.S. space community, both large and small, is a source of admiration by and occasional puzzlement to the international space community. At the same time, a proud history and a nascent private industry cannot alone substitute for national and international leadership in space, and they likely cannot survive, much less thrive without it. Both international cooperation and private-sector initiative are necessary aspects of any effective American strategy in space, but are not by themselves sufficient. A focused national strategy is also needed to provide a coherent context for both cooperative agreements and private ventures. It is crucial to remember that international space cooperation is not an end in itself, but a means of advancing national interests. Those interests can be for security, commerce, science, international influence or any combination thereof. A human space exploration effort driven by geopolitical interests and objectives provides the historic model and rationale for the United States. 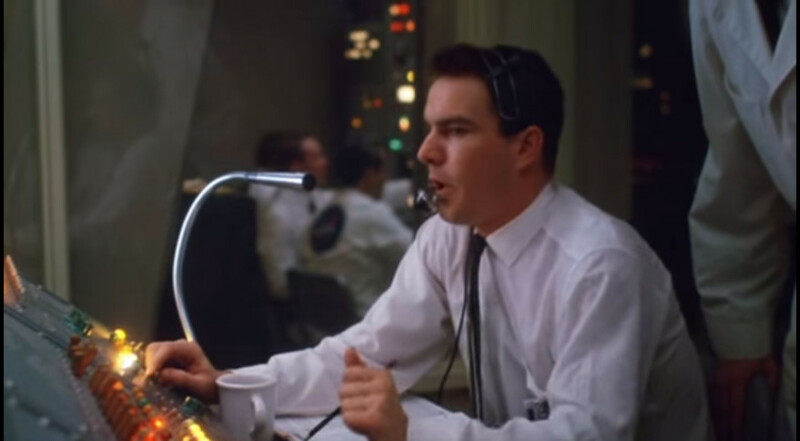 The United States undertook the Apollo program in the 1960s to beat the Soviet Union to the moon as part of a global competition for Cold War prestige. The Apollo-Soyuz program symbolized a brief period of détente in the 1970s. The International Space Station program was established in the 1980s, in part, to bring the developing space capabilities of Europe and Japan closer to the United States and to strengthen anti-Soviet alliances. Russia was invited to join a restructured ISS in the 1990s to symbolize a new post-Cold War, post-Soviet relationship with Russia. The next steps beyond low Earth orbit will require international partners for practical and political reasons. Therefore, it makes sense to ask what our partners would like to do, and what they are capable of doing in the future. The answer is the moon — with Mars and other destinations in the distance. A U.S. commitment now to lead a multinational program to explore the moon would be a symbolic and practical first step as well as a means of creating a broader international framework for space cooperation. At the same time, the geopolitical benefits of improving relations with growing space powers through greater U.S. engagement could support more-ambitious space exploration efforts than science alone might justify. Providing commercial cargo delivery to the lunar surface would be an attractive post-ISS market for U.S. industry; the volume and duration of that market would be enormously more attractive to industry than that for the ISS alone could ever be. The moon is not just a destination, but also a means of answering questions, creating capabilities, training organizations and forging new relationships to serve the interests of the United States and its allies. The United States is crucially reliant on space systems, and the future sustainability and governance of space activities are key strategic interests for us. U.S. human space exploration today is “capability driven,” with ambitious goals in the distance that are not well connected to other national interests, notably in international relations and commerce. If we are to have an effective American space strategy, we need to align our policies, programs and budget priorities with enduring national interests. This means looking beyond individual missions and seeking to determine what future humanity might have beyond Earth, and what values will be part of that future. I would like those values to include the things we value today — democracy, human rights, the rule of law and free markets. I will close with a quote from Oliver Wendell Holmes Sr.: “I find the great thing in this world is not so much where we stand, as in what direction we are moving — we must sail sometimes with the wind and sometimes against it — but we must sail, and not drift, nor lie at anchor.” We need the confidence to choose what course offers the greatest advantage to our nation and our values. Scott Pace is director of the Space Policy Institute in the Elliott School of International Affairs at the George Washington University. This article was adapted from testimony during a Feb. 24 hearing of the U.S. Senate Commerce Committee’s space subcommittee. Civil Policy & Politics U.S.